In these days of “Maintenance Free” you still need to know and understand when things do require some regular attention. I remember as a child my father greasing our car, but now all of those bearings are sealed in cars. However many of us user older equipment, either because we like it or due to the economics of buying used older equipment. In the case of much of this older equipment (and even some new) you have to add lubrication to the bearing surfaces in the form of grease. In the case of some kind of wheel bearings you have to pack it with grease. In others you use a grease gun to add grease through a fitting called a Zerk (the silver ball looking thing in the two pictures). The zerk has a one way valve in it and allows the grease in but not out. 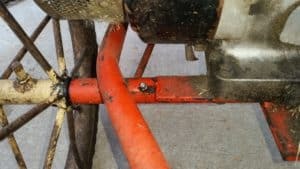 These pictures are of my brush mower that was built in the 70’s. The axle is a shaft in a sleave and since the force and RPM’s are low it will last practically forever if it is kept greased. Generally speaking you just pump grease in through the zerk until you see the old grease coming out the joint. Anyplace you see one of these fittings you need to grease it regularly. How frequently depends on the use and the conditions. 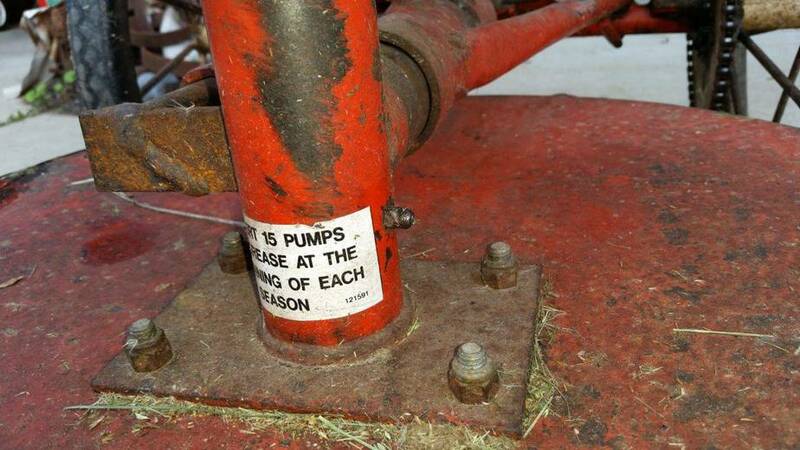 If you have a manual for the piece of equipment it should tell you a lubrication schedule. Otherwise if you have to add a lot of grease before you see it coming out your probably waited too long. Just a super quick post today about chainsaws. Sort of a halloween theme right? Well I suppose saws are more useful than chasing screaming children around a corn maze. Like many people I spend a fair amount of time sawing dead fall and pruning every year. Previously I had always taken my saw to the dealer to get service done and to get my blades sharpened, however I am very interested in starting to learn how to do these myself. I purchased a chain saw sharpening tool that attaches to the end of a dremel and I will be reviewing that in an upcoming video, so watch out for that. eHow definitely has the best collection of videos on using and maintaining a chainsaw.